Happy Thursday!! This month's Girl Chat topic is all about those Easter baskets! Do you do them? Do you get them/give them? What do you put in them? I am totally slacking this year so I can't wait to read everyone's ideas! The kids have been asking for their own umbrellas for a while now so I jumped on some that were on sale at the Disney store - I know they are going to be so excited for these!! 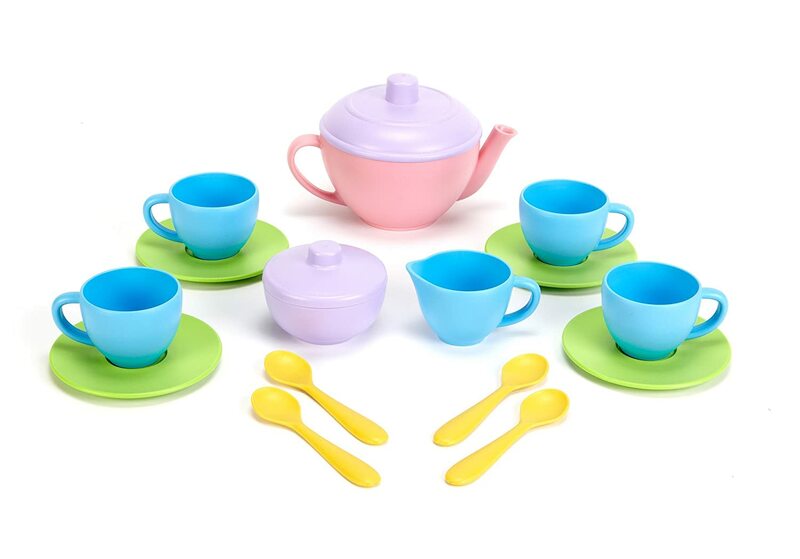 Ella loves play doh and is always asking for a new set - I think she'll love this one! Avery loves Ella's nice glass tea set but she's a little rough so I thought getting her her own plastic version would be great. I scooped this Green toys set on a deal on Amazon for $12!! Of course there will be candy/chocolate but really, I am trying not to go overboard this year. I feel like I have done too much in the past and it's just overwhelming for them and half the stuff doesn't even get touched. This year I'm all about simple. I can't wait to see what everyone will be sharing, I do still need a couple things so I'll be looking for ideas! I hope you link up below! I love the Play-dough set to make flowers! How fun is that?! Your baskets are so darn cute!!! I love how you painted them white, added the ribbon and the tags! Absolutely adorable! 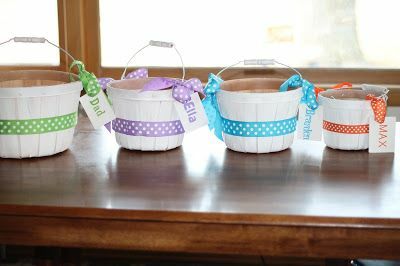 such cute baskets and we love play doh in our house too. Their baskets are so cute! You did such a good job with them! Ours are so random and just plain wicker lol. I love the idea of putting a movie in there. I love the idea of umbrellas. I still want to see Wonder. Umbrellas are a great idea! 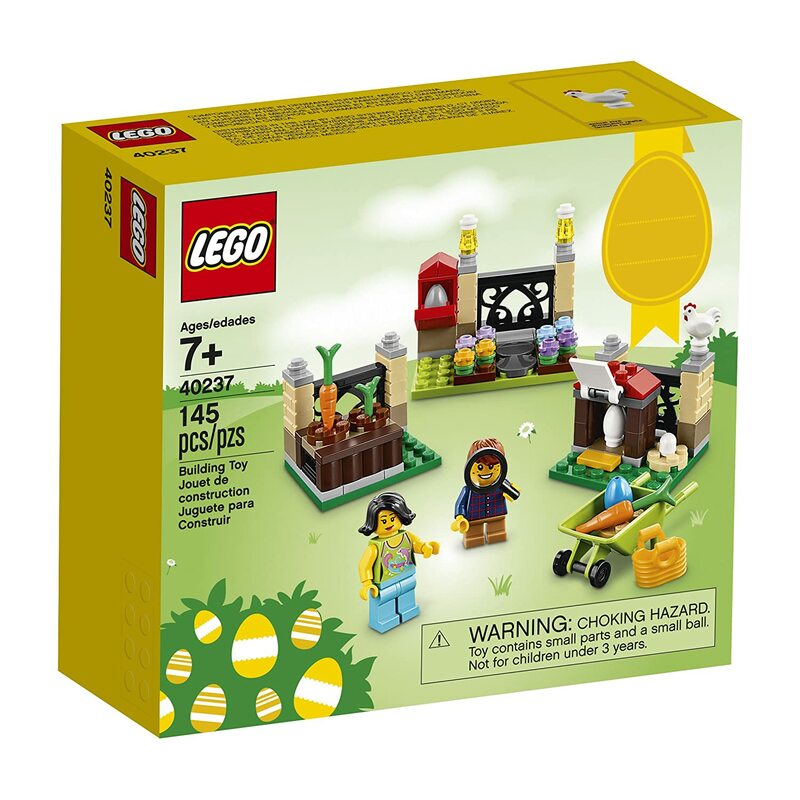 I would have never thought to put that in an Easter basket but it's perfect for the season!